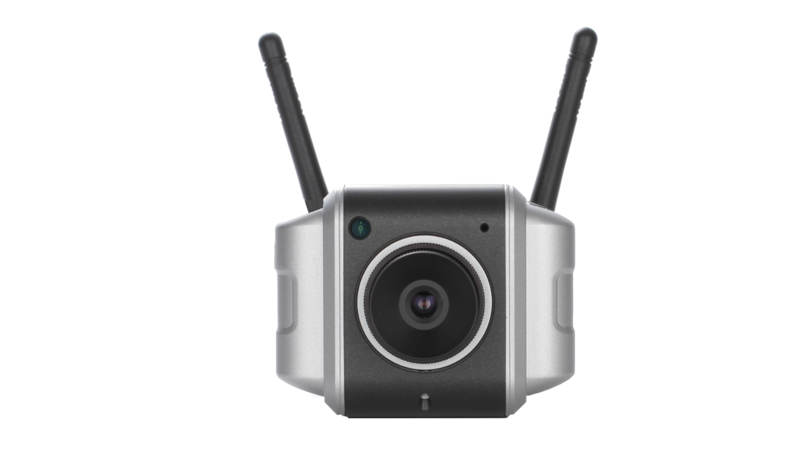 D-Link's DCS-3430 Wireless Day/Night Fixed Camera includes a vast array of features that make it a versatile solution for Small to Medium Businesses looking to increase the value they get from their data network, by integrating surveillance. 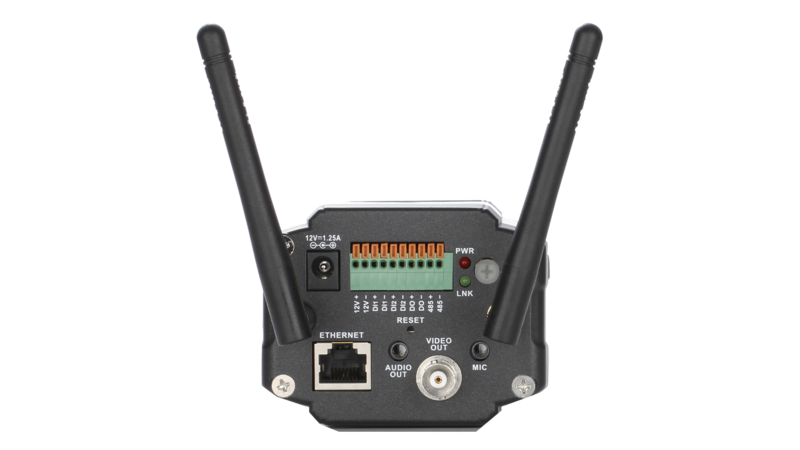 The DCS-3430 can be placed anywhere on the network either through a wired Ethernet or wireless 802.11 b/g/n connection. You can also instantly take snapshots while remotely viewing video feeds from a Web browser. 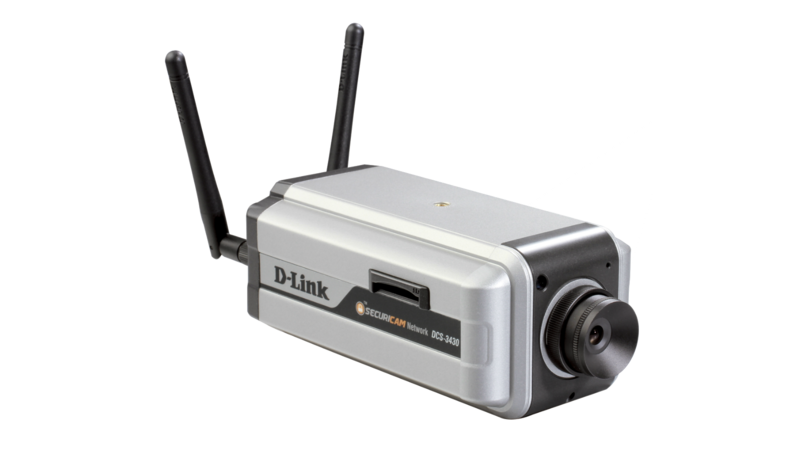 D-Link’s DCS-3430 is a versatile day and night wireless network camera, ideal for small-to-medium business applications and remote monitoring capabilities over the Internet. 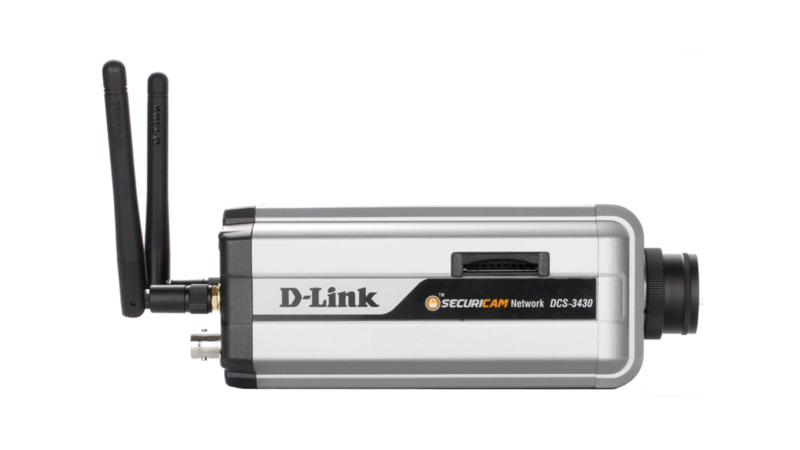 The DCS-3430 can be placed anywhere on the network either through a wired Ethernet or wireless 802.11 b/g/n connection. You can also instantly take snapshots while remotely viewing video feeds from a Web browser. The DCS-3430 is equipped with 2 digital input ports for sensors or alarms, 1 digital output port for an alarm, 1 power output port for an LED illuminator and a BNC connector which provides both analogue and digital interface video transmissions. An RS-485 port is also included for connection to external pan/tilt devices. Moreover, the 12V interface provides power for an optional LED illuminator. Additional items such as an auto iris lens, IR LED lens or a night vision illuminator can be added to the DCS-3430. The DCS-3430 supports 4 separate profiles simultaneously and is capable of recording in MJPEG, MPEG-4 and H.264 compression with a choice of resolutions for a smooth performance. You can save snapshots and automatically start recording video and audio when motion is detected. With the built-in Samba client, software is not required to record the action directly on a network storage device. An SD-card slot is also included for local storage. With the D-ViewCam software included, up to 32 cameras may be monitored on a single computer screen at one central location. The DCS-3430 also features 3G mobile video support, enabling you to view a live video feed from the camera on a compatible 3G mobile phone or PDA anywhere in your 3G coverage area.